Despite the coming demise of Islamic State in Iraq and Syria, the volume is a timely reminder of the limited efficacy of armed force to secure positive outcomes and the devastating effects such actions have on the everyday people caught in the cross-fire. As the Islamic State group stormed Mosul and proceeded to steamroll Iraqi Security Forces in its lightning conquest of around one-third of Iraqi territory in June 2014, Associate Professor Benjamin Isakhan and his fellow co-authors could have been forgiven for wondering whether this seemingly momentous shock to the Iraqi geo-strategic landscape might undermine the relevance of their forthcoming edited volume—then in the final stages of production—The Legacy of Iraq: from the 2003 war to the ‘Islamic State’ . On the contrary, the compilation meticulously details the myriad of mistakes, missteps, malfeasance and the outright malevolence committed by a multitude of actors that created the febrile conditions conducive to the group’s rapid rise and expansion. Comprising an eclectic and impressive array of writers dissecting the legacies of the 2003 invasion of Iraq from a multitude of analytic perspectives, it is impossible for me to do justice to the impressive collective level of expertise on display in this volume given the formatting constraints of this review. Fittingly, the volume refreshingly delves into the dazzlingly array of opinions regarding the 2003 Iraqi invasion and its legacies from a local Iraqi perspective, rather than the hitherto Western-centric fixation on the putative merits of the war and concomitant failures of the “West”. The volume investigates the diversity of experience following the invasion beyond simplistic mainstream discourses pertaining to notions of Shi’a and Kurdish liberation and Sunni marginalisation. Not only is the contestation and fragmentation of these notional identity groupings examined in depth, but the lesser-known struggles of Iraq’s ultra-minorities (e.g. Christians and Yezidis), indefatigable civil society groups and the deteriorating status of Iraqi women post-invasion Iraq are detailed as well. The book is divided into four parts. The first part details a series of spectacular own goals first by the occupation and then by the nascent Iraqi government. 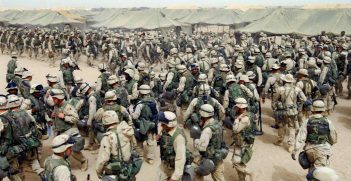 Notably, it describes the de-Ba’athification and disbanding of the Iraqi army and the upper levels of the bureaucracy that left the country bereft of governing expertise, the privatisation of Iraqi oil sector—a symbol of Iraqi independence—and the hypocrisy involved in the Abu Ghraib torture scandal. The second part unpacks the fragmentation of Iraqi politics and society, including the fracturing of Shi’a solidarity, the flawed formulation of the Iraqi constitution and its implications for the Kurdish issue in particular, the rise of a distinctly self-conscious Sunni Arab identity previously unknown in Iraq and the plight of Iraq’s ultra-minorities. The third part investigates the actions of Iraq’s civil society movements that are largely obscured and ignored in the international media despite their tireless struggles against government authoritarianism, corruption and ineptitude, alongside the largely ignored issue of women’s rights and the heartbreaking looting and destruction of Iraqi heritage. Finally, the volume examines the regional and international consequences of the invasion including the ironic reinvigoration of the international jihadist movement, which as we now know, would subsequently spill over Iraq’s borders to destabilise neighbouring countries and, indeed, terrorise the world in the form of IS and a revived al-Qa’ida from here to Timbuktu. 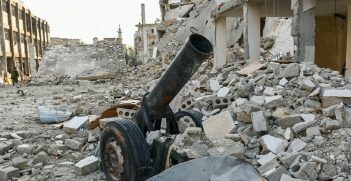 Despite the current territorial demise of IS in Iraq and the noose seemingly tightening around al-Qa’ida’s former affiliate in Syria, the volume is a timely reminder of the limited efficacy of armed force to secure either political advantage or positive outcomes in the contemporary era, and the devastating effects such actions have on the everyday people caught in the cross-fire. The volume is a must-read for those wishing to truly understand the calamitous legacies left by the 2003 invasion, both in Iraq and beyond, and those who wish to avoid such tragedies in the future. Benjamin Isakhan (Ed). 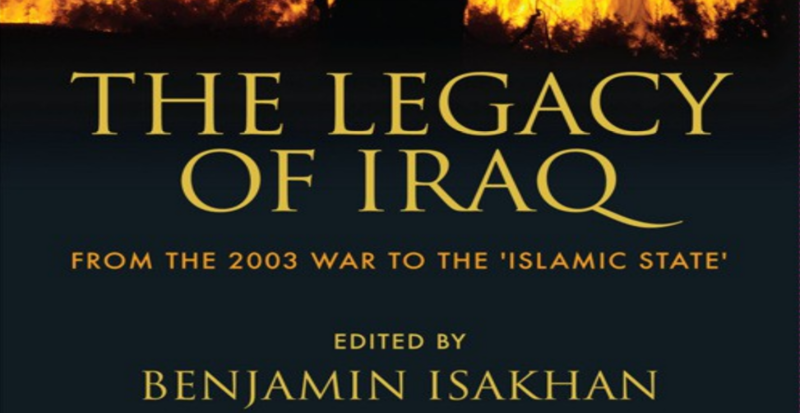 The Legacy of Iraq: from 2003 to the ‘Islamic State’ (Edinburgh: Edinburgh University Press). Dr Tristan Dunning is a lecturer in the University of the Sunshine Coast and an honorary research fellow in the University of Queensland. He is the author of ‘Hamas, Jihad and Popular Legitimacy: Reinterpreting Resistance in Palestine’ and has recently co-authored the articles “Rearing Cubs of the Caliphate: an examination of Da’esh child soldier recruitment” with James Morris and “Recognizing Fragmented Authority: Towards a Post-Westphalian Security Order in Iraq” with Damian Doyle. 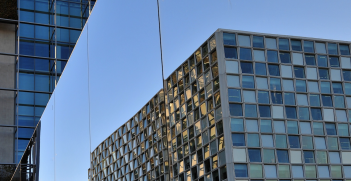 Even with IS defeated on the ground in Syria and the battlelines of the long-running war the subject of UN peace negotiations, the country remains torn by conflict. Could a recent Russia-US joint declaration be the beginning of the end?